WAYNE COUNTY – On the evening of April 12 a convict being extradited escaped from the company that was transporting him from New York Police Department to Allen County in Indiana. According to police He asked the transportation company, Affordable Extradition Service, to use the restroom in the rest area and that is when he escaped. Troopers from the Medina, Wooster and Ashland Posts, along with OSHP Aviation and the Ashland County Sheriff’s Office searched the area to include vacant buildings and residences southwest of the rest area. Police searched the area until around 1 am then called off the search until daybreak. Police issued a BOLO for the convict that if he was seen to call police immediately and do not approach because of his violent tendencies. The convict Ali EL-KHATIB was handcuffed, wearing a waist chain and shackled on one ankle when he escaped. 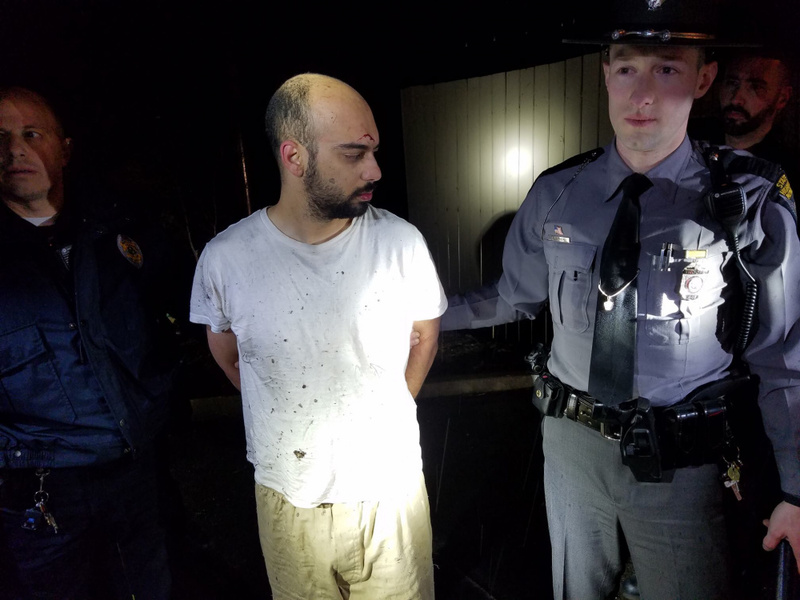 Ali EL-KHATIB was on the loose until early this morning (7 am 4-14) when Troopers from the Ashland Post took the fugitive into custody without incident. He was found walking near Interstate 71 and US250. Where officers attempted to capture and the fugitive fled again hiding inside a local motel in the area, then fled again and was finally caught in a wooded area just outside the motel. Police are investigating how Ali EL-KHATIB removed his restraints, and he was found 13 miles away from where he escaped. No injuries to officers or the suspect were reported, he will be booked into the Ashland County jail.